Cable Color: Black & Blue. 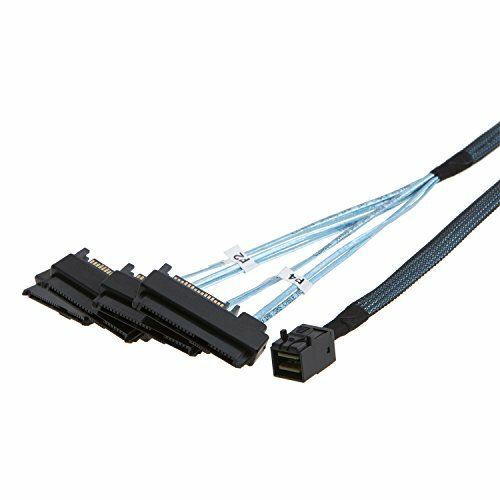 Internal Mini SAS SFF-8643 to (4) 29pin SFF-8482 connectors with Power Port. Please note that Mini SAS (SFF-8643) is Host, 4 SAS 29 (SFF-8482) is target, Internal mini Serial Attached SCSI x4 (SFF-8643) to (4) x1 (SFF-8482) Serial Attached SCSI (controller based) fan-out cables.